To make your drop down lists more visually appealing you may want to use a tick or a cross to indicate acceptance (or not) of an item. It is surprisingly easy. Firstly you need to find a suitable tick or cross. So you can copy a tick (highlight the one below and click CTRL and C). Now it will look much nicer and you can choose the tick or cross from within the data validation drop down list. But what if you want to make the tick turn green and the cross turn red when chosen? 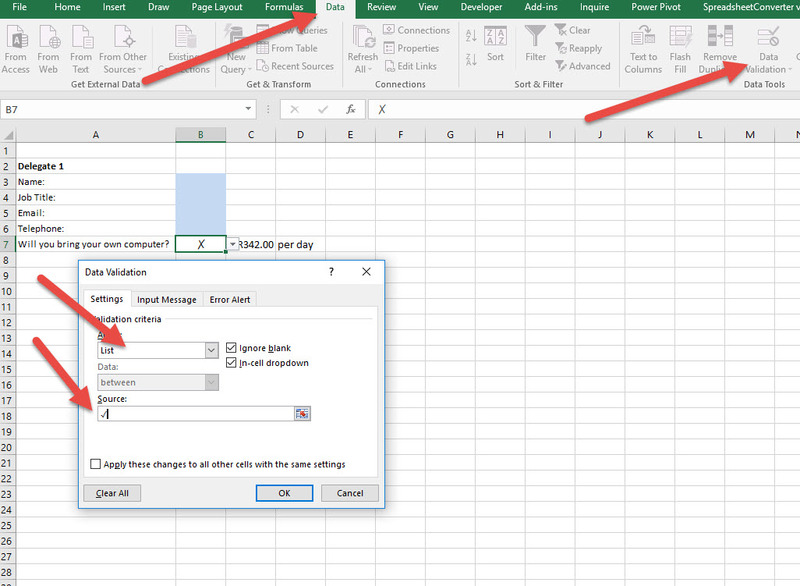 It is the same process except you now use the conditional formatting tool. 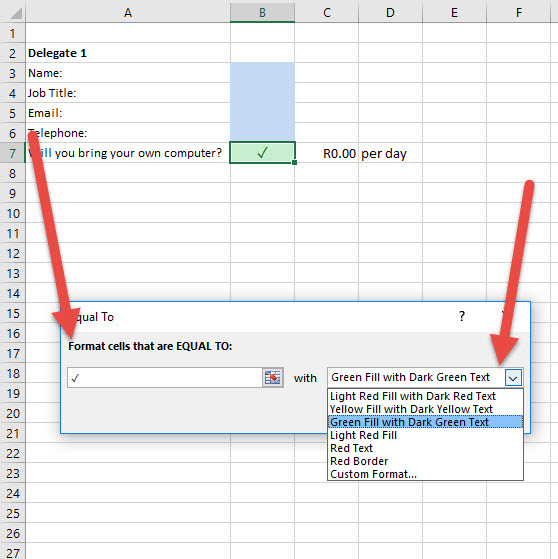 The key is to copy the tick or cross into your clipboard before you activate the Conditional Formatting tool. 7. 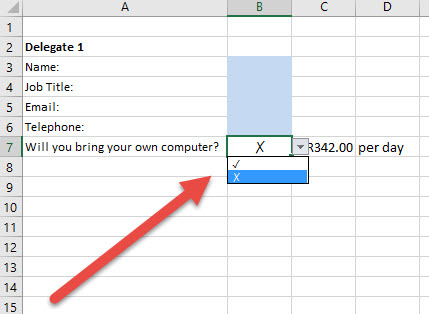 Choose how you want the format to look based on Excel suggestions or click on CUSTOM format to create your exact style. You need to repeat the same process so that when a cross is chosen, it turns red. What if we want to perform a function based on whether a tick or a cross is chosen. 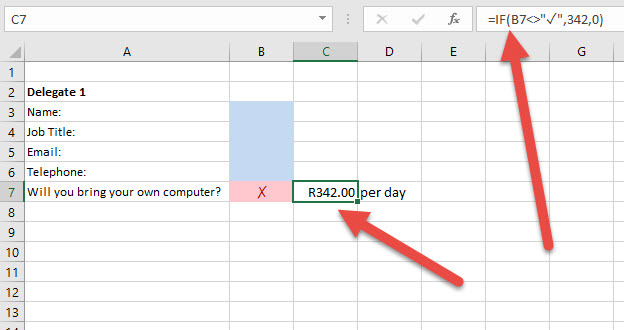 So in this case if a cross is chosen (they don’t have a computer) the price of computer hire per day will appear. Unsurprisingly the process is similar. paste in the tick or cross into the appropriate place in your function.